Edward J. Kurowicki, MBA, CPA/CFF, CVA, managing partner of Bedard, Kurowicki & Co., CPA’s (BKC) of Flemington, NJ has successfully completed the Certificate Program in Government Financial Management from Rutgers Business School – Graduate Division and the Department of Accounting and Information Systems. Ed founded Bedard, Kurowicki & Co., CPA’s, PC in 1992. Ed has over 25 years of taxation experience with both regional and international public accounting firms. Ed is often called upon to handle complex tax, valuation and litigation assignments. 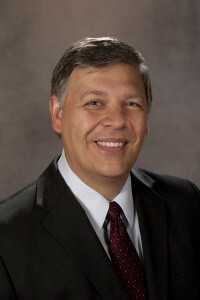 Ed earned an MBA from Fairleigh Dickinson University and holds designations as a Certified Valuation Analyst, as Certified in Financial Forensics and as a Chartered Global Management Accountant. Ed is a member of numerous professional associations and a past President of the New Jersey State Chapter of the National Association of Certified Valuators and Analysts. Bedard, Kurowicki & Co., CPA’s, a mid-sized, full-service accounting firm based in Flemington, New Jersey, helps privately-held companies in the tri-state area reach their goals through pairing its strong financial knowledge with a deep understanding of its clients’ businesses. The firm offers accounting, tax, and value-added business advisory services to companies across a wide variety of industries. BKC is an independent member firm of the BDO Alliance USA. Explore our website, or contact us at info@bkc-cpa.com to learn more.